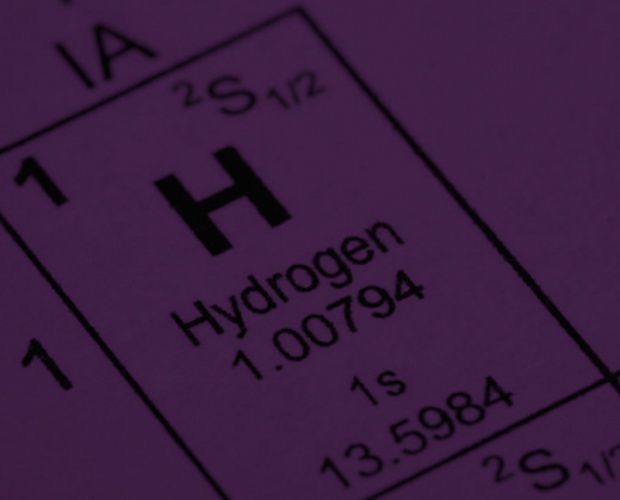 A team from Exeter University has made a significant hydrogen energy breakthrough, developing an electrode that splits water using only light. The photo-electrode, made from nanoparticles of lanthanum, iron and oxygen, absorbs light before initialising electrochemical transformations to extract the hydrogen from water (H20). According to the Exeter team, the LaFeO3 device is not only cheap to produce but can also be recreated on a larger scale for mass use. Hydrogen energy produced using the photo-electrode would be free from carbon emissions and virtually limitless. The work is published in the journal Scientific Reports. “We have shown that our LaFeO3 photo-electrode has ideal band alignments needed to split water into its constituents (H2 and O2) spontaneously, without the need of an external bias,” said lead author Govinder Pawar, who works at the university’s Environment and Sustainability Institute in Cornwall. Water splitting was first demonstrated by Fujishima and Honda using a titanium dioxide electrode. Since then, scientists have been on the hunt for the ideal material to perform the task. While many semiconductor materials have been found to be capable, none have been both abundant enough and functional in the visible part of the light spectrum to be considered practical for mass industrial use. During testing, the LaFeO3 photoelectrode was found to have a faradaic efficiency of 30 per cent and showed ‘excellent’ stability over 21 hours. The Exeter team discovered that the material can straddle the water redox potential with the conduction band at −1.11 V above the reduction potential of hydrogen, meaning it does not require an additional bias to split water. “With growing economies and population, fossil fuels will not be able to sustain the global energy demand in a ‘clean’ manner as they are being exhausted at an alarming rate,” said Pawar. Yes but, for a non-chemist, how does it work? The same way as it works for a chemist! But seriously, the electrode releases energy into the water molecule at the ideal level to break the hydrogen-oxygen bond without the need for an extra catalyst. It would have been good to hear what amount of hydrogen is being produced per square metre of array /hr and how long the development to commercialisation will be. If the light energy efficiency is 30%, you could calculate on the back of a postal envelope to your sweetheart, the area required per “average” passenger vehicle, or lorry. It is not clear from this article how the hydrogen and oxygen are separated: are there two electrodes – one that sends off hydrogen and the other sending off oxygen, so that they can be gathered separately, or does the process release hydrogen and oxygen as mixed gases? Therefore producing a highly volatile mixture which would be very dangerous to contain. Having just reviewed the source article, I believe that the p-LaFeO3 is a photocathode that releases H2 and that the n-Fe2O3 is a photocathode which must therefore release O2 – though to the chemically naïve like me, I cannot be sure. No, you are correct. The oxygen and hydrogen are produced separately, because the electrodes are separate. Usually oxygen is just released to the air. The link to the Scientific Reports in the text is useful! In this case, the hydrogen is sent into a fuel cell, where it is reacted with oxugen from thew air to form water; the reaction releases electrons that flow around the electric circuits in the car in the same way as they would from a battery. It’s exactly analoguous to burning the hydrogen in air; it’s just a more controlled way of carrying out the reaction and harnesing the energy. The water is ejected from the fuel cell as a vapour. You can run engines on burning hydrogen like you do with burning petrol, but the technology is slightly different from a conventional internal combustion engine. I think it might be smart to use air cooled condenser to collect back the water vapor as drinkable condensate for later? Yes? There’s generally not enough of it, although it would be drinkable. Water is – chemically speaking – H2O (with the “2” in subtext) which means two atoms of hydrogen combined with 1 atom od oxygen to create the molecule we coloquilally know as water. The system electochemcially splits the water in to hydrogen (in the form of H2 – again the 2 in subtext – which is a “stable” gas hydrogen, and O2 – subtext 2 – the stable gas oxygen (both bonds are – from distant memory – covalent I believe). These gases are pure at the electrode and the hydrogen is VERY energy dense. It can then be recombined – colloquially known as oxidisation or “burnt” – to form water again. (CAREFULLY – hold a cold glass upside down above the a lit hob on your cooker for a second and you’ll notice it mists up…don’t leave it or burn yourself…just wave it over for a VERY brief period…burning any hydrocarbon produced water and CO2 – yes…2 subscript again)…In the hydrogen there is no Carbon, so no CO2 (carbon dioxide btw). I’m a bit rusty…but chemically its 2H2O > 2H2 + O2 (first 2s normal second 2s subscript)…natural gas (methane) is CH4 (sub4) + 2O2 (2Osub2)> CO2 (COsub2) + 2H2O (2Hsub2O). Where H = hydrogen, O = Oxygen C = Carbon. The recombining can either be used to generate electricity (in a fuel cell) + heat, or power a conventional heat-engine (such as in a car Internal Combustion Enginer – IC Engine) In an IC engine it is far from ideal as it produces a helluva lot of t-NOx which are thermal oxides of Nitrogen – a normally inert gas, but chemically transformable at high temperatures and pressures. A lot written here on a resonably complex subject…hopefully its reasonably clear for a layperson…cudos to you for asking btw! Also important to note that electricity is not added, other than electromagnetic radiation (light), other than the electron transfer from catalyst to adsorbed water, and oxygen being oxidized back to free oxygen molecule at the other surface (polarity). Hence the mention of Faradaic (current) efficiency, and at 30% this is remarkably substantial. I still am not holding my breath until we see long-term testing where this runs for weeks, or even months without degrading, although the catalyst appears to have a happy constitution. This very day, the EEF has castigated HMG for not giving enough to encourage firms to take-on apprentice engineers -ie technicians and fitters. I hope our illustrious organ will point out the error? In my day the 600 apprentices at BTH Rugby included Graduates, Students (aspiring professional engineers like me) as well as Craft apprentices . Opportunities were there to move from one study route to another. Hostel facilities were used to mix Students, Graduates and Craft in rooms accommodating up to 8 so that we mixed socially. Overseas Students included Canadians, Cypriots, Australians, Indians and Spaniards that I can recall. I counted 34 nationalities in the registration book one evening. Those who returned to their home countries were regarded as sales ambassadors for good British engineering. Most of us had to do National Service after completing our studies. I became a Student Member of the IEE in my 3rd year and 65 years on am a Member of the IET Retired Members Committee.